The energy world is now well into adjusting to one of the steepest oil price collapses in history, one which has caused shifts in global supply and demand. At the same time, previously growing levels of domestic natural gas production have slowed due to a glut of gas presently in storage and on the global market. Looking forward over the next couple of decades, global energy consumption is projected to continue to grow (mostly in emerging economies), and most forms of energy are expected to grow in absolute terms. The annual growth rate, however, is projected to be much slower than it has been, and market shares are projected to shift considerably, with coal losing to renewables and natural gas production. As with all forecasts, of course, there are uncertainties, as geopolitics, capital flows, and other global risks will affect energy’s future. Regional and national markets have both driven and been affected by these global energy trends. In Asia, Chinese oil demand (seen as unquenchable just a few years ago) could peak within the next decade or two, coal is still generally cheaper to use than natural gas in places like China and India (but not in the U.S.), and renewables and distributed energy resources could explode even further depending on financing. Russia, meanwhile, is facing unexpectedly competitive international energy trade markets, plunging oil and gas prices, a stagnant domestic economy (partially due to US and EU sanctions), and a huge domestic oversupply of gas, though Ruble devaluation has allowed Russian oil output and exports to grow modestly (at least in the short term). In the Middle East, where geopolitics have clear consequences for global oil and gas markets, Saudi Arabia and Iran see each other as existential threats, Saudi Arabia may or may not emerge as a swing supplier again (despite the big loss in revenues due to low oil prices), and Iraq may not be able to remain a unified state in the face of fiscal and political crises. 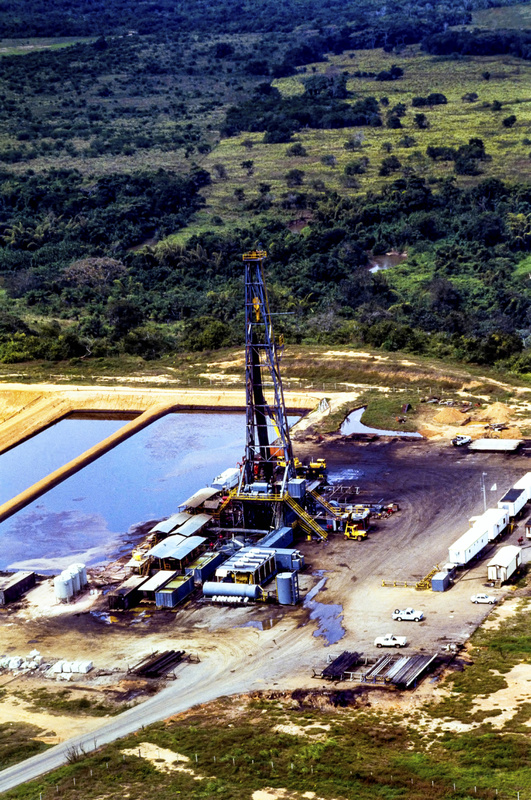 In Latin America, the drastic drop in commodity prices has helped spur political unrest and economic hardship, and potential foreign investors are warily assessing the risks associated with investing in Latin American resource production. North American oil production has been resilient in the face of low oil prices, thanks to impressive productivity and efficiency gains. Supply is dropping, though, and shale drilling is basically taking place in only a few counties where the economics make sense at current prices. The reduced production, in turn, has reduced the throughput of midstream assets, creating challenges for North American midstream companies. While there is a base of US crude oil production that can come online quickly if prices start rising enough, there may never again be a world of stable $100 oil prices; instead, continuous cycles of rises and drops in price and production are likely for some time. There are also enormous US gas supplies in the $3-$4 range, though a lot of natural gas will be produced in the United regardless of price, due to the high profitability of gas produced in wet shale plays. In Canada, the existing oil sands projects have been economic even during the price downturn and should do quite well as prices go back up. The Canadian oil and gas industry has also been collaborating in addressing public policy challenges and technological opportunities, recognizing that its social license to operate has largely been provided by provincial governments’ environmental policies. Mexico, meanwhile, managed to institute reforms in its oil and electricity sectors, introduce private capital, slash electricity costs, and cut carbon, even though oil prices started to decline just as it opened its markets (which ended up helping the electricity sector). All of these developments, combined with many other factors, highlight the enormous opportunities to look at energy development, energy use, energy security, and environmental policy from a more integrated, North American perspective. Maintaining the industry’s social license to operate is inherently tied to public opinion, discourse, and education. 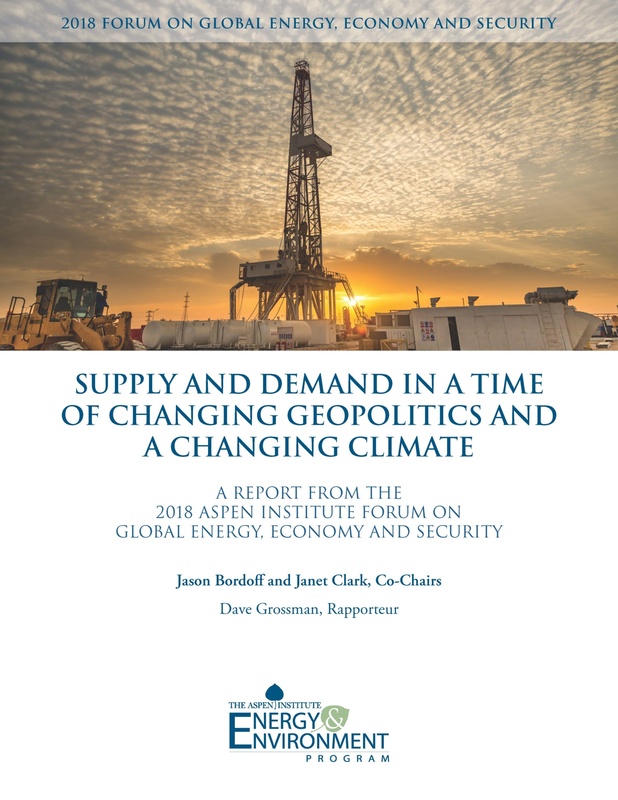 Public opinion can shift strongly in the energy realm in ways that affect the ability to operate, as has been seen with nuclear power in Germany and hydraulic fracturing in the US. The climate issue influences a certain level of political pressure and public opinion around fossil fuels, at least in the US, as climate activists have turned to infrastructure fights and “keep it in the ground” in the absence of progress on national climate or energy policy. The national conversation on energy is propelled by hyperbole, ideology and misinformation, undermining the ability to find common ground and build public trust. Providing decision-makers with better, less bias information on energy issues is warranted, although many people do not want to be – or do not think they need to be – further educated. Even in a carbon-constrained world, most forecasts see fossil fuels as a big part of the energy supply for decades. Keeping warming below 2°C, much less 1.5°C, will require unprecedented improvements in the carbon intensity of the energy mix and in the efficiency with which energy is used in the economy. Every year of delay significant portions of the finite global carbon budget are ‘spent’ on emissions from burning coal, leaving less and less of the budget to spend on the less carbon intensive fuels like oil and gas. It is in the economic interest of business to put weight behind policies to rapidly reduce the carbon spend rate. In the US, prospects for a price or tax on carbon, hinge on those in Congress who think climate change is real, human-caused and economically feasible to manage. 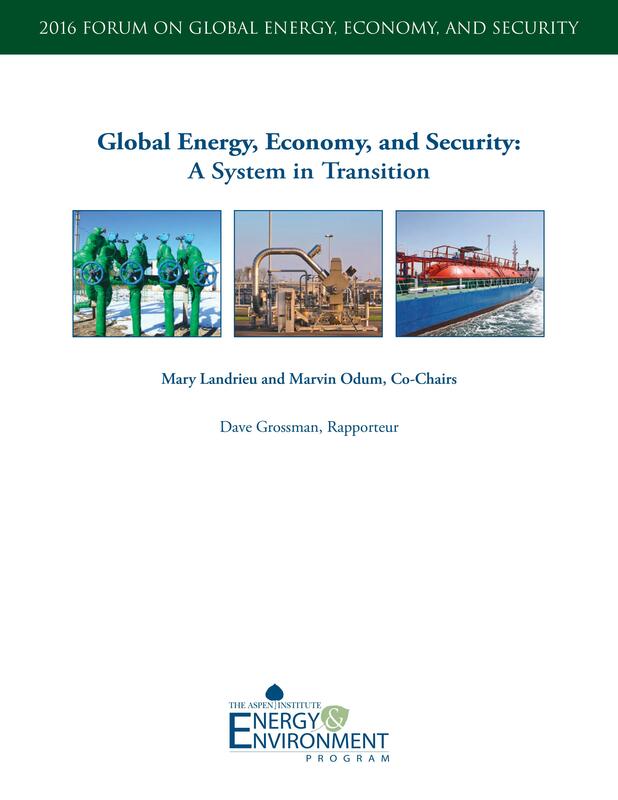 Market dynamics and existing policies have already dramatically increased the role of natural gas in the US power sector, reducing that sector’s emissions, and North American natural gas is now being liquefied and shipped around the world. Addressing methane emissions from oil and gas production and use, however, is key to capturing natural gas’s potential environmental advantage. Carbon capture and sequestration (CCS) may also be essential – especially to deal with the gas and coal plants built over the past 10 years that are likely to operate for decades – but CCS is expensive and generally lacking policy supports. 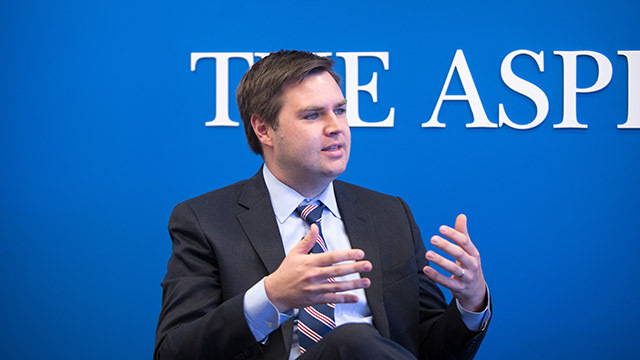 In addition, a transition to a lower carbon energy economy will likely require reassessing energy business models (e.g., moving away from the sole reliance on fossil fuels), making decarbonization policies less myopic (i.e., beyond renewables), increasing investment in low-carbon research and development, and figuring out the technology and human capabilities needed going forward. Technological innovation has been and will continue to be a vital part of the energy system transition. The technology space in oil and gas is currently seeing new players, many startups, some venture capital financing, and lots of innovations, with a particular focus on digital disruption (e.g., machine learning, data analytics, mobile devices and services) to improve cost, simplicity, and speed. Companies will also have to leverage technologies to address needs such as low-carbon imperatives and remediation. In the transportation space, where the vast majority of oil goes, technological innovations involving improved fuel economy, vehicle electrification, and other areas have the potential to reduce oil demand, though policies and consumers will play huge roles in determining the future of transportation. The biggest uncertainty in the oil sector, as well as the electricity sector, is the rate of adoption of electric vehicles. Global oil demand is projected to grow by 20 million barrels per day, or about 20%, by 2035. Demand falloff from fuel efficiency standards and other factors will be more than offset by growth in emerging economies. In the US, the cost of drilling for oil and gas is going down because of technology development, and some drilled-but-uncompleted (DUC) wells represent low-hanging fruit where production can ramp up relatively quickly in response to potential future price increases. The last two years have shown that era of Saudi Arabia as the world’s swing producer, where they dial up or down production unilaterally based on market turbulence, may be coming to an end. US natural gas will continue to thrive despite relatively low prices, due to the fact that breakeven price for natural gas in dry shale plays is between $1-2.40 per mmbtu and in wet oil/gas plays is often negative. Cheap natural gas is here to stay for the foreseeable future and will continue to be used for power generation, continuing to displace both coal and nuclear, and potentially suppressing renewable deployment. The biggest uncertainty right now is the transportation sector. If the adoption curve of electric vehicles is steeper than it’s been in the last few years, then demand for electricity may actually go up, instead of the current forecasts calling for flat or slightly decline demand, which has big implications for oil demand for vehicles, natural gas demand for power, and the transportation fuel mix.